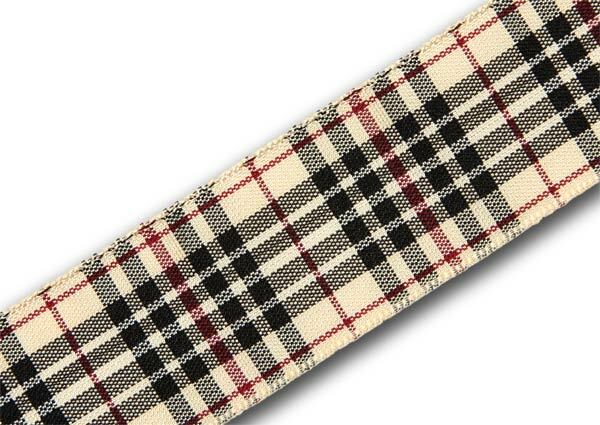 Please note Burberry tartan is not produced in ribbon - at least not ribbon that is available for sale. Our research shows that Burberry tartan ribbon has been produced, but only for gift packaging and product presentation uses by Burberry themselves. 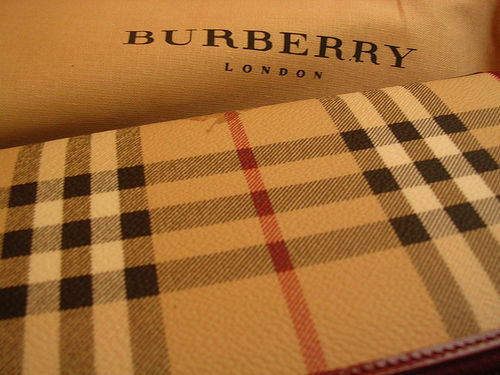 The Scottish Tartans Authority advise that the Burberry tartan was first registered in 1927 and has become an iconic tartan, even although it has no historic roots. 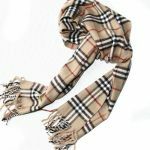 Even the very name "Burberry" is jealously guarded, therefore have to be very clear in stating that we are not claiming to sell Burberry Tartan Ribbon. 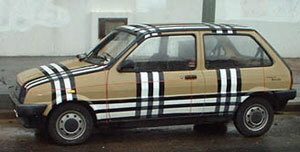 The Burberry tartan is arguably the most guarded (and copied) tartan produced today and although we appreciate that a multi-million pound international brand wishes to protect itself, some commentators have suggested that such verdant protection does slightly go against the whole spirit of celebrating the wearing of tartan. Two very similar tartans to the Burberry tartan have been produced, both registered tartans in their own right: Blackberry Tartan Ribbon is available to buy in 16mm (5/8") and 25mm widths, on 25m (27½ yd) reels and in 5m top-up packs.. Pride of Scotland Gold Tartan Ribbon is available to buy in 10mm (3/8"), 16mm (5/8"), 25mm (1") and 38mm (1½") widths, also on 25m (27½ yd) reels and in 5m top-up packs. Please note that of these two alternative tartan ribbons, Blackberry Tartan Ribbon is HALF the price of Pride of Scotland Gold Tartan Ribbon. As always, we are happy to offer FREE worldwide shipping on all orders. 5m (5½yd) top-up packs also available with FREE worldwide shipping, but please note 25m reels are by far the best value.